​Set in the same literary universe as To Kill A Mockingbird, Go Set A,Watchman catches up with a 26 year old Scout who lives and goes to college in New York. During one of her annual visits back home everything she thought she knew about the one person she looks up to changes leaving Scout reeling and unsure that she ever fitted into her home town. It was hard not to be curious about this book, which was a long time coming and I happily let memories of To Kill A Mocking Bird flood back. However, this isn’t the same epic game changer of a read like the first book. Although, allowing the reader a degree of nostalgia the brevity of this addition left me wanting more. The strength of this read was the depiction of Scout as a young lady and the journey of self-discovery she undergoes. Less interesting to read were her conversations with Dr Finch her uncle who seemed to veer off topic enough at crucial points of the book to frustrate me. After I’d finished the book I felt a great sense of sadness, as the ending opened up so many avenues of development for Scout as she had a number of options to mull over, and I for one really did want to know what she would do next. I’m glad I picked this up but I am sad the story stops here. The most curious thing about this book is, surely, that it was written before: ‘To kill a mockingbird’, which was created from a flashback in this book. 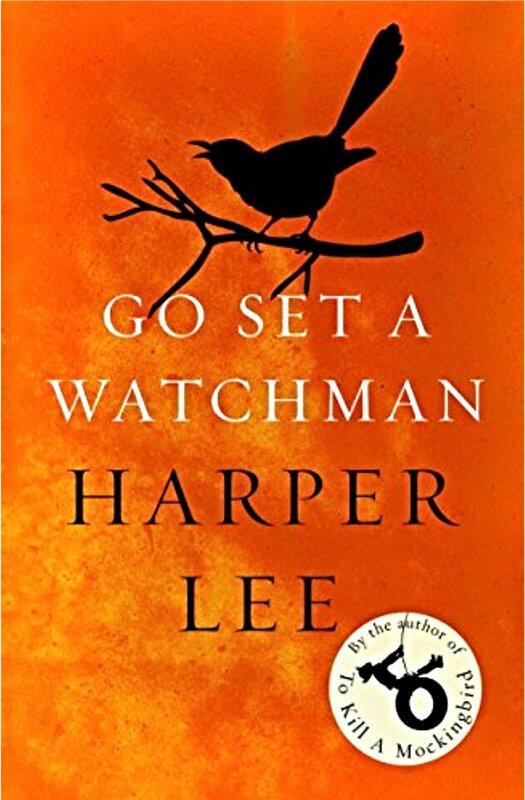 ‘Go set a watchman’ was not considered publishable when Harper Lee sent it to her agent, who encouraged her to write the ‘other’ book, which made her name. Is there a flashback which foreshadows ‘Mockingbird’? I have resisted reading this because I have heard it is a much weaker a novel than the marvellous ‘Mockingbird’. Some people have a single, wonderful, novel within them. Harper Lee was one such. I did not know that, Judi. I read very little about it before diving in I wanted to start it with a clean slate. There are flashbacks to Scout’s childhood, that took me back To Kill A Mocking Bird, but I can’t say it gave more insight into her formative years. I agree it wasn’t as powerful and left me feeling incomplete. I cannot actually call it a sequel, it felt more like a novellete, To Kill A Mocking Bird Book 1.5 as some publishers do. I’m so nervous about reading this book. That’s why I haven’t done it yet. I love To Kill A Mockingbird, but I’ve seen a lot of mixed reviews for this one. You are right to be cautious and I’m not convinced I should’ve picked this one up. I have heard a lot of similar reviews and I have to say, I don’t think it will be anywhere as good as her first. But then again I will probably read it just because it is Harper Lee. From what I have read about the novel coming out is that they are now calling it a draft. There was also a lot of controversy whether or not she was being taken advantage of in her old age. I believe there was a an investigation if it were considered elder abuse, they found there wasn’t anything there. So there seems to be a lot of history around this one book. I hadn’t read about the controversy behind her publishing Go Set A Watchman until after I had read the book and I feel it is her book but I just feel sad she opened the door to something she couldn’t follow through with an adult female protagonist. Sequels no matter how much you like the first one are a bit hit and miss, but this felt like the dawn of a new era in Mayberry and I’m sorry she won’t he writing any more about it. but I like your review, too.